The small black chia seeds, or Salvia hispanica, come from the mint family and originated in the central and southern regions of both Mexico and Guatemala. According to legend, ancient Aztec warriors ate a spoonful of chia seeds during times of battle. The chia seeds kept the warriors satiated over a period of 24 hours and gave them the energy to carry on without having to stop and eat. You may be more familiar with the word ‘chia’ from the popular Chia pets commercials that originally launched in the late 70s. The furry green coats that sprouted on the plant pets actually grew from chia seeds, hence the name. Honestly, I never really gave chia seeds that much thought until I was looking to shed a few pounds. A friend of mine introduced me to them and I’ve been hooked ever since. When chia seeds are soaked in a liquid, they expand and turn into a gel-like consistency. I have to admit it’s a little weird at first, but once you get used to them, the pudding like texture won’t even bother you. When you eat the chia seeds without a liquid, this expansion process ends up happening in your stomach. The result is that you end up feeling full much faster. You don’t overeat and you’ll be satisfied enough to reduce post-meal cravings. 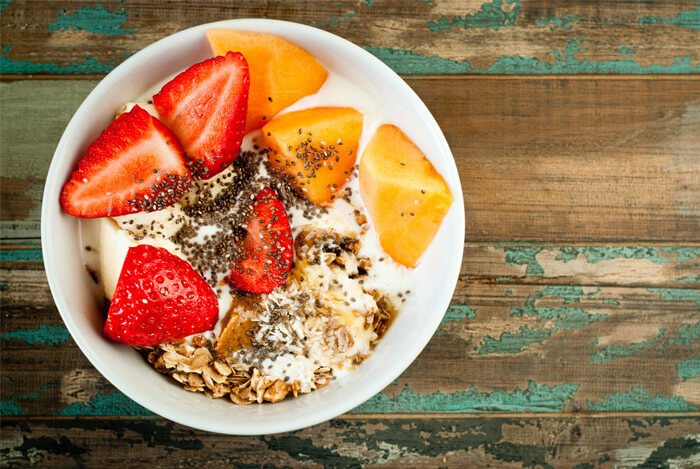 In addition to expanding in your stomach, chia seeds are also packed with fiber. The carbohydrates found in a 1 oz serving of chia seeds, approximately 12 grams, is actually made up of 11 grams of fiber. Similar to the expansion of the seeds, fiber is also going to help you feel full so your brain signals your tummy to stop rumbling. Which leads me to my next point. In addition to keeping you full, fiber also helps manage your blood sugar levels. 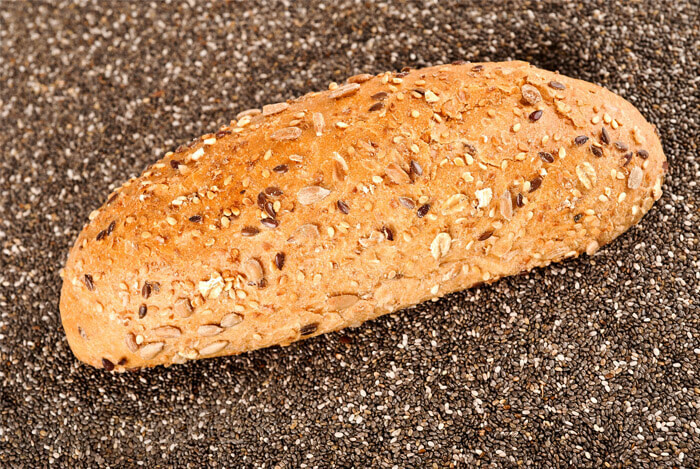 In a study conducted on 11 men and 9 women with type 2 diabetes, participants were either given 37 g of Salba (Salvia hispanica L. [botanical name for chia]), or 37 g of wheat bran over the course of 12 weeks in addition to their normal diabetes treatments. 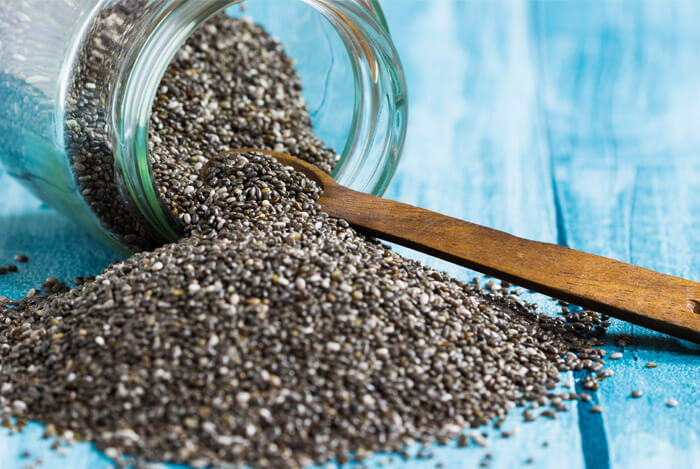 At the end of the study the participants taking the Salba (chia) had reduced systolic blood pressure, c-reactive protein, and cardiovascular risk factors. 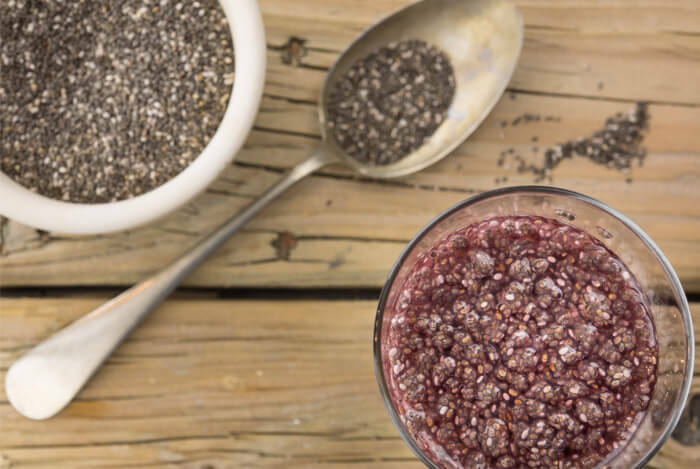 Controlling blood sugar levels and feeling full aren’t the only benefits of eating the fiber found in chia seeds. You can also keep your digestive system on track and fight constipation with these small wonder seeds. 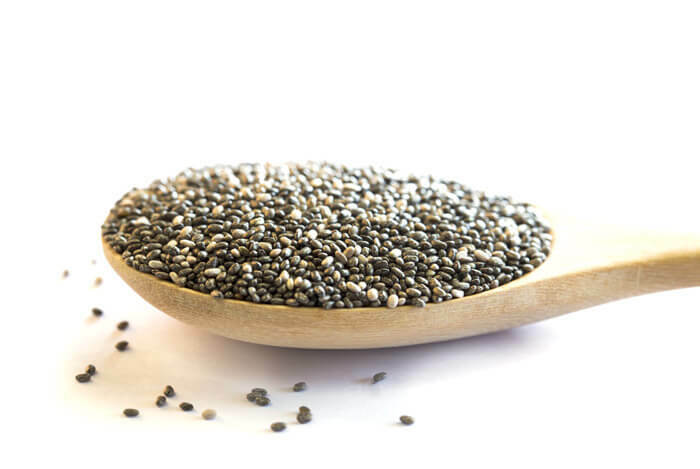 The fiber found in chia seeds is a mix of both insoluble and soluble fiber. 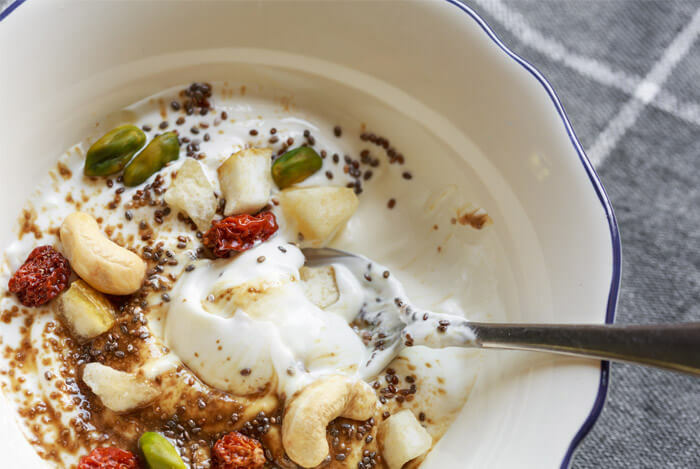 It’s important that your diet consists of both types of fiber, which is why chia seeds are an easy way to accomplish this task. It’s amazing that such small seeds contain so much power. In fact, these nutrients can all be yours for about 137 calories. As if that’s not enough, you can also reap cholesterol and cardiovascular benefits from these little babies. I mentioned earlier that a 1 oz serving of chia seeds will give you 18% of your daily recommended value of calcium. This added boost is perfect for strengthening bones and teeth. 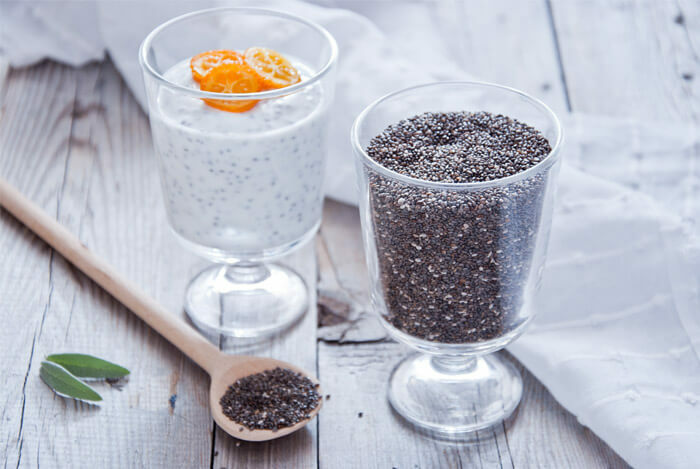 The easiest way to add chia seeds into your daily eating routine is to sprinkle them in food like yogurt, smoothies, and almond butter. You can even combine a cup of seeds with a cup of milk for a healthy pudding snack. Rushing out the door? Stash some chia seeds and hemp hearts in a ziptop baggie and munch on them throughout the day. You can find chia seeds at most grocery stores. Since they’re gluten-free, you may want to check in that section of your store, or head down the grain aisle and you should find chia seeds near the quinoa. What’s your take on chia seeds? Have anything else you’d like to share? Let me know in the comments below!